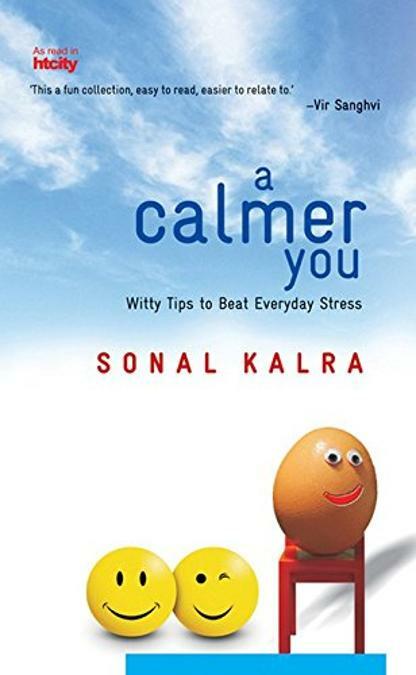 In an easy and charming manner, Sonal Kalra helps us tackle everyday irritants and tension in life-be it the daily stresses relating to work and colleagues, traffic and road rage, etiquette or self esteem, A Calmer You helps us put our priorities into perspective. Her calmness tips are seemingly simple and amazingly effective. Her insights and experiences are situations we can all relate to, and the wise and often hilarious characters-the serene Pappu Singh, the incorrigible Chaddha ji and the indefatigable Bubbly Aunty-peppered throughout this book offer surprising nuggets of wisdom. A Calmer You is a fun collection-witty, easy to read, easier to relate to, and full of conclusions that all of us will identify with. You will be left with techniques to achieve tranquility and composure in the face of aggravation, and that too, with a big smile on your face! Santacruz East, Mumbai - 400 055.